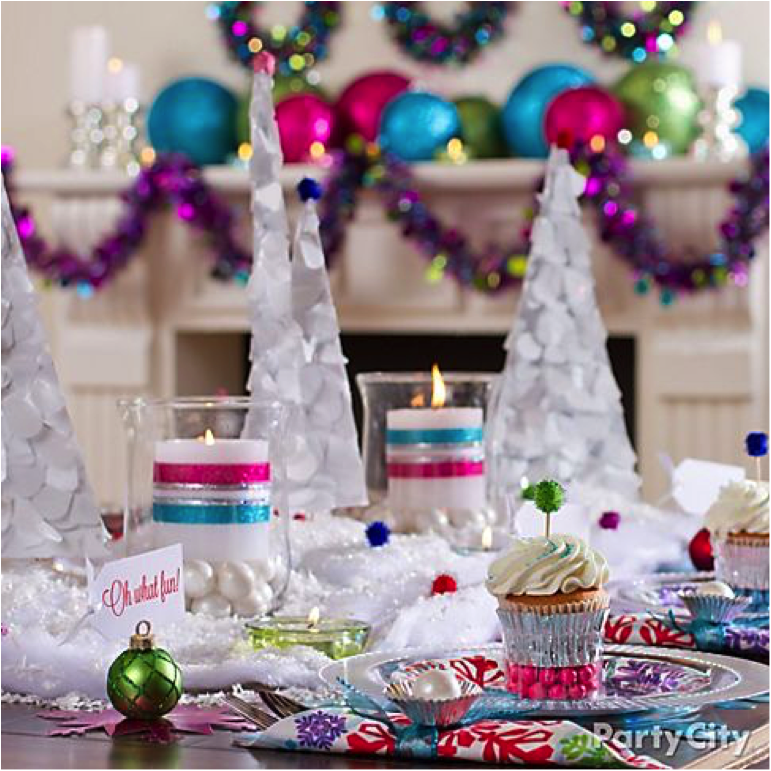 Creating a festive holiday table is easier than you think. 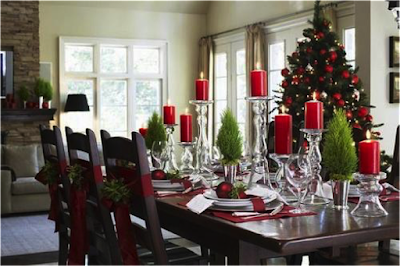 Here are 10 must-haves to keep in mind while decorating for your next gathering. Add a touch of elegance to your holiday table with fabrics. Tablecloths, fabric napkins, seat cushions, ribbons and slipcovers soften the hard edges of wood furniture and give your everyday dining set a luxurious feel. Create an eclectic look by mix and matching your dinnerware. Combine casual pieces with more formal sets. Short on inventory? Visit your local thrift store for unique pieces and be creative! Centerpieces need not be complicated. A bowl of oranges, a vase of grocery store blooms, your favorite glass ornaments or even your mother’s reindeer figurine are all good choices. Combine different items to create an interesting tablescape. Remember to keep centerpieces low to allow conversations to flow across the table. 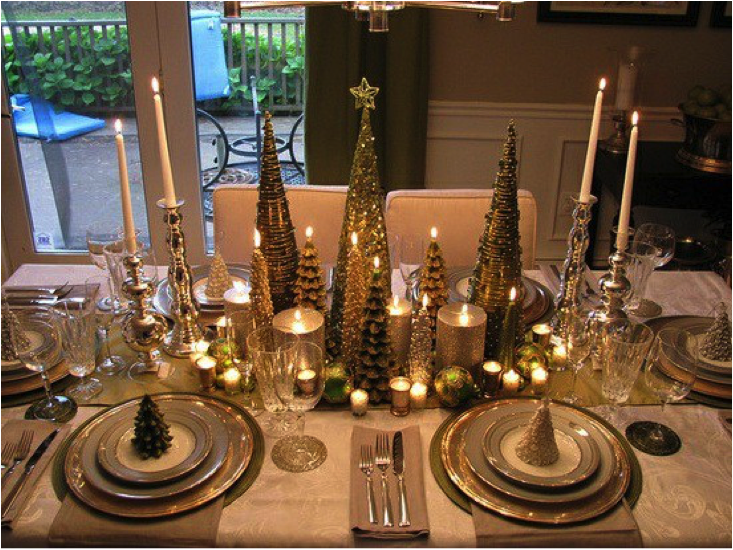 Adding candles to your table setting is always a good idea. The glimmering light is beautiful day or night, and its very presence elevates the sophistication of any gathering. Combine votives, tapers and pillars for interest. If your everyday dining set won’t accommodate your guests, dust off your table’s leaf and add a rustic bench or upholstered chairs from other areas of your home. Remember, more is definitely merrier during the Holidays! 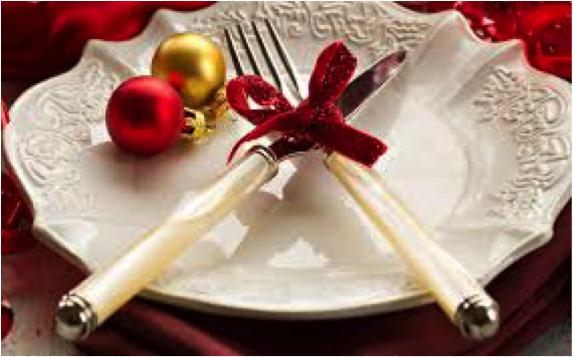 At a holiday table, each place setting deserves a little extra attention. Layer placemats and chargers with different sized plates and bowls for texture and interest. Be creative with your silverware placement. 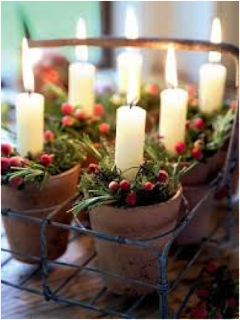 Include small candles at each setting along with fabric napkins with napkin holders for a special touch. Add some fun to your table by including a little something your guests can take home with them. Favorites include mini presents, candies, small plants or hand painted ornaments. If you don’t normally have an area rug underfoot, consider purchasing one or borrowing from another room. Area rugs will add color and comfort while creating a feeling of coziness. Think beyond traditional red and green. Choosing colors that complement your home’s decor and furnishings will give your table a sophisticated feel while bright, contrasting colors add a sense of excitement and whimsy. 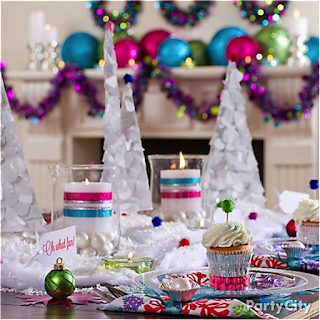 Don’t forget to look up when decorating your holiday table. Drape greenery, garlands, ribbons or ornaments from your chandelier to bring your guests’ eyes up and create even more holiday coziness.